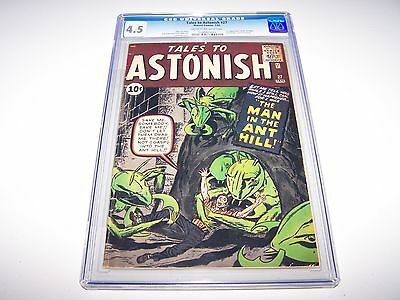 Tales to Astonish #27 CGC 4.5 CR/OW Looks Much Nicer! ~ Key! ~ *1st App Ant-Man! A sweet looking copy of this mega-key! I'm shocked that it didn't get at least a 4.5.